WhatToNameIt: Airtel Super Singer 2008 - Coming soon!! This time for people who are over 16 years of age, able to speak/sing in Tamil language and born before 10.05.1992 will be eligible to participate in this competition. If you want to take part, this year you can also audition online right here. good program it was. expecting the same.. are u gonna host again.. all the best, if so. hope u host it again..
the whole programme last got a huge branding advantage becos of the "Chinmayyi" factor ..
do sing a couple of songs in this series atleast ..
wow this is what we are looking for and we want you to host. last year was huge success because of you and your amazing hosting. Good luck chinmayi! My name is Vijay and i am a great fan of ur songs especially sahana song from Sivaji.u r doing a gr8 job.I am in idea to participate in Airtel Super Singer 2008 contest.Can u give me a hint how to record my voice in a cd or casette?..Can i record it by singing in front of my Computer with a mic?.Please give ur suggesstion.It will be very glad. Was waiting for this show for a long time... Thanks for the information..... Hope you will be hosting this show!!!!! Please please be the host. Coz I wish to see chinmayi again in small screen that too in ASSJ. Welcome back and Good luck Chin! hey chinmayi,Airtel Super singer is always a rocking show.No wonder where you rocking too.Please do something for people who stay in other countries but still who are ardous fans of Artel SS and also who want to make prominent marks in the film industry as singers. I am Harini and i really enjoy watching Airtel Super Singer. When the Junior Airtel Super Singer was announced I was really looking forward to audition but being born on the 6th October 1992, I was a few months older to participate. And now i am a few months younger to audition for Airtel Super Singer 2008. I am really interested in music and i really want to audition. HELP!!! is sending/uploading the audio samples, the only way for this. last time, there were many ways like thro phone, kiosks etc., na. and if only 600 based on what criteria they short list tat 600. will they scrutinise. kindly update na...watching ur space on this eagerly!! Hi im a bathroom singer ;-) n i didnt learn karnatic but have a better voice.Like to participate in contest.Should i need to know karnatic compulsorily? what does it take 2 bcome a singer? kaushal.. i dont have an answer to that! 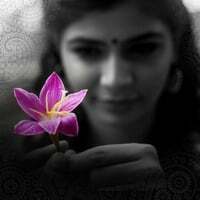 Hi Chinmayi, I am from Singapore. I heard there is an audition for Super Singer 2008 in Singapore too. Can you please post more details on it?? I would like to participate in the audition in Singapore.. Anonymous: that should be good enough. Anonymous: I am not sure what can be done other than your uploading the voice clip and making a trip down to Chennai. when will we know the results of this audition?? ?can u please tell me where do we need to upload our voice clips so that it will reach the right persons. And how do you modulate your voice?? Please let me know the last date of submission of voice recorded cassete. JAI SHRI RAM........chin rocks FOR SURE. she 's a fabulous singer as everyone knows...... gives swtdrmz to all men n nightmares to all galz.... gr8 communication skill n carries the event as if its a cake walk.... makes it luk so easy... hatz off to the director too..
waiting for a time to get a stage .meet u there. this prabhu.---ooty rite now working in chennai am a fan of chinmayi..need an autograph..
i have heard ur are working in tcs is it true...??? all the best airtel super singer 2008. Hi akka.....I am Prashanth, Studying second year BTECH in GCT, coimbatore. I have heard your songs ! Your Voice rock ! am a great fan of yours. I have uploaded my clip. So when will they inform if i am selected or not? I have only recorded my voice with a mike and uploaded directly. So hope that is enough ! Do you have account in ORKUT? right now and plz tell me if i can do it this year coz my mom tells me that i won't find enough time. But i really want to do it. it's way too hectic for me at school. But now ive got my holidays. if i can't do it this year, will there be one more contest coming up next year or so?? an aspiring singer...just like u!! I am Srikanth from Coimbatore. Can you tell me the probable dates of audition or the last date of application for this program. My friend has applied for the programme in online, but he didnt get any reply from Vijay TV. Could you please tell me whether the selection process is over? Or Does he has to wait for the reply from them? I had filled in the online application form along with my audio clip; wl any acknowledgement be sent by vijay tv? When wl v know d results? Is there any direct auditions like last time? I asked Vijay tv office..
hi....tis is sriram....i ve participated in the audition n when ll we know the results of it?? Hey wen can i get the results pa!Plz let me know as soon as possible! When will the results of the online auditions be out? I am studying in Singapore and am on vacation in Chennai till July 2nd week or so. You probably do not have any confirmation from Vijay TV yet, but do you have an idea roughly regarding when the live auditions will be held? You're help is greatly appreciated. Thanks a lot. I jst want to know when we will get the results for Airtel Super Singer 2008 Auditions, because i sent my voice through online. This is Vidhya here !!! A big Hiiii from me :) Well .. just a kutti help from you . I'v been wanting to participate in this Airtel Super Singer '08 . Missed out to send the audio clip online . And came to know there's a first round of zonal selection in Cbe [ ;) My hometown ] But again WORK's keeping me busy here in B'lore :(. Is there anyway u could tell me 'bout the second round of zonal selection . hi can u let me know when will audition resuts be aunounced.i sent it through online for chennai zone. hey if any one applied for audition for chennai zone n recived the result please inform. even me waitin for the same . . clueless abt the results an stuf . . chinmayi . . ! can yu help wit tis ??? I hav uploaded my song thru online 2 months b4,but no one from chennai has got any intimation :-(,do u hav any idea wen will b the auditions in chennai??? Hi chinmayi.... its just amazing how down to earth you are. Am frm chennai and tryin for this competition. Pls tell me what this voice booth is all about? would judges be there? or just a video recording? what happened to the initial online auditions? is this voice booth a first come first served basis and we need to register like the early bird? Voice booths are set-ups in different areas which record your voice on video. You ll have to see Vijay TV to know where the voice booths in Chennai are. no judges there. they are reviewed later. Dont know about the initial tape/Cd auditions. As I said, I have no access to such information. Voice booth is walk -in-at-any-time I guess. I have never been to one. General auditions take place for anyone and everyone on pre-announced dates. Earlier you reach the venue, the better. Santhosh: No idea at all. I m harini, add me in ur friendz list yaar. I m so eager to participate in Airtel super singer 2008 chennai audition. I called to the Airtel number given in the vijay tv website for registration(the number : 54321 2727). they jus asked the name and tld me to confirm and the voice recorder replied that they ll send a mesg to me. but i dint receive it yet yaar. Actually whether only the name is to be given or wat? could u tell me plz. How is the auditions tommorow before the judges. Could u pls give any tip? How many songs should we prepare.....how long does the judges usually make us sing. Is the result on the spot? wen is the reslt announced pa? I am Ravi kumar from Singapore. First of all please accept my thanks for spending time to reply to so many questions and helping out people. I was actually searching for airtel super singer auditions in singapore and came across your blog. Seems like there is no singapore audition. I had uploaded my audio clip and I guess, since my address was Singapore, they did not contact me. I am coming to chennai on 16the July. I am thinking of going to Vijay tv office and meet some people. Do you think it is a good idea to go in person. I am Lakshmi, I am a chennai based dairy science researcher.I have learnt carnatic music for the past 8 years and I am quite interested in participating in Airtel super singer. I had uploaded my audio clip online for audition ( Very soon after it was announced on Tv that we cd audition online). However, to my surprise , I did not receive any phone calls, mails or emails about my selection / rejection. I am quite disappointed about this. I completed my MS in Australia and returned to India with dreams of becoming this year's Super singer... If you do happen to read my comment , I request you to kindly advise me on my selection status :) thank you. I saw the Airtel Super Singer 2008 episode telecast on Monday the 12th Aug.There was one gentleman who failed because he could not pronounce tamil letter la and its counterpart LA correctly.The judges were right. But the girl who sang next pronounced su(eg. as in sudum) as chu. Well she got the nod. It is ok to select her as her voice and rendition were gud,but the judges shud have told her to be wary of her pronounciation. I really wonder each time I see u anchoring Airtel Super Singer, why u are the anchor, because u have such good talent that u should be one of the judges there too (i am not trying to demean anchors or the judges). What i mean to say is, ur talent as a judge may be very much valuable. Or is it that u love to do anchoring? But u are doing a very good job as an anchor too and i would like to listen u singing at least one song per week. Can u pls do it for fans like us? I'm hoping that you'll be reading this...I live canada and have become a great fan of this show. There is one person that has captured my attention completely and i don't what it is about him. Vijay narayan has an amazing but beyond that I think there is lots passion and love for music. It was very sad to seem go and I have no way of communicating with him and so I hope somehow by you reading this, it might reach him. He is destined to go places and I wish all the best. I hope to see do wonderful things.